The Western Regional Society of Nuclear Medicine will honor Brian Lentle, MB, MD, DSc (honoris causa), (Wales) FRCPC, FRCR, FACR, CCD with the presentation of the Western Pioneer Award in recognition of his impact on the western region practice of Nuclear Medicine. Doctor Lentle was instrumental in forging the path for other nuclear medicine physicians to follow. The Award will be presented at the Western Region Annual Meeting, scheduled for November 3-5, 2017 at the Westin Bayshore Hotel in Vancouver. Dr. Lentle is an Emeritus Professor of Radiology at the University of British Columbia and retired consulting radiologist to the Osteoporosis Clinic at the Women’s Health Centre in Vancouver. He is a former Professor and Head of the Department of Radiology at the University of British Columbia and Head of the Department of Radiology at Vancouver Hospital and Health Sciences Centre. He now serves as radiologist to the Canadian Multicentre Osteoporosis Study (CaMos) administered from McGill University and formerly participated in the Steroid-Induced Osteoporosis in a Pediatric Population (STOPP) Study for the University of Ottawa. At present he is Chair of the CaMos Quality Assurance Committee and Vertebral Fracture Group. 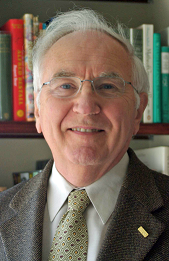 Dr. Lentle has published over 190 scientific articles, edited two books and written numerous book chapters. Lentle served as Presidents of the Prairie and Pacific Northwest Chapters of SNM and was given the President’s Award by the Society of Nuclear Medicine in 2005. He has recently completed 6 years as a member of the Board of the International Society of Clinical Densitometry. Dr. Lentle is also a former board member of the Radiological Society of North America (RSNA) and past-president of RSNA and both the Canadian Associations of Nuclear Medicine and Radiology. He is an Honorary Member of the American Association of Physicists in Medicine and of the European Society of Radiology. He has been awarded the gold medals of the CAR and RSNA. Dr. Lentle was presented with the 2011 Lindy Fraser Memorial Award by Osteoporosis Canada and its Scientific Advisory Committee, and the 2014 Paul D Miller Award by the International Society for Clinical Densitometry. In 2013 UBC created the Brian Lentle Teaching Fellowship in the Department of Radiology. He has been awarded an honorary DSc by his alma mater in 2014. Born in Cardiff, Wales in 1935, Lentle graduated from the Cardiff High School in 1954. He attended the Welsh National School on Medicine in Cardoff 1959 with MB, and BCh degrees. He interned in surgery, urology, medicine and neurology at the Cardiff Royal Infirmary from 1959 to 1961 and a registrar and Margaret-Davies Research Fellow from 1961-1963 and registrar in radiology from 1963-66 at the Welsh National School of Medicine. Lentle was then with the Atomic Energy Authority UK doing research and responsible for radiology, radiation health and radiation protection. Lentle moved to Canada in 1967 to work for two years with Atomic Energy Canada, Ltd, for research in radiation-induced chromosomal aberrations and reactor occupational hazards and also serving as staff radiologists at Pinawa Hospital in Pinawa, Monitoba. In 1971 he was staff radiologists at the Royal Alexandra Hospital in Edmonton, Alberta and in 1972 he was staff radiologist and Director, Department of Nuclear Medicine at the Cross Cancer Institute in Edmonton, a position he held until 1986. At he same time he served as Assistant Clinical Professor, Associate Clinical Professor and then Professor at the University of Alberta in Edmonton. In 1986 in continued his career Professor in the radiology department at the University of British Columbia and Head of the Division of Nuclear Medicine at the Vancouver Hospital and Health Sciences Center and serving as Head of the Department from 1991 to 1999. From 1999 to 2001 was Professor of Radiology at the University of British Columbia and Medical Director for International PET Diagnostics, Inc. From 2001 to 2015 he was consulting radiologist for the BC Women’s and Children’s Hospital responsible for densitometry service. In 2000 he was presented with the title of Emeritus Professor at the University of British Columbia. A true pioneer, Doctor Lentle’s legacy is that of opening doors and helping others achieve their goals.